Commissioned by the asset manager and investors AEW Ciloger, Maud Caubet Architects have been in charge of the interior architecture of the Initial Tower. First highest building constructed in La Défense, the Initial Tower is protected by a glass shell originally designed by the French architect Jean Prouvé. 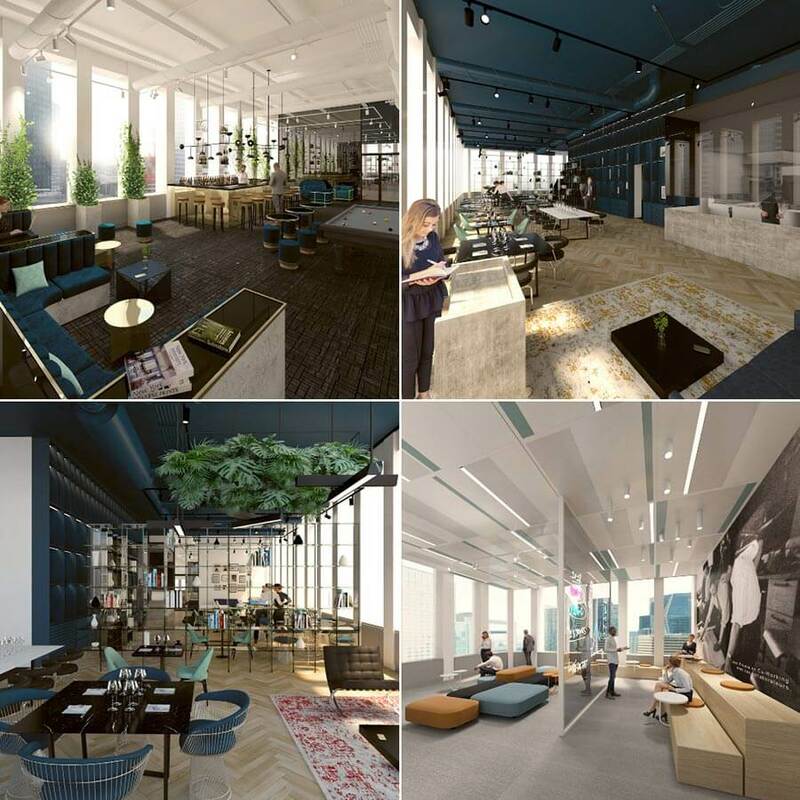 The 14 floors of the new AEW Tower are now equipped with a restaurant and cafeteria on the ground floor, fitness and wellness spaces, a panoramic floor with a panel of services such as a coworking area, a restaurant, a coffee and spacious and bright offices. “We thought these common spaces as living areas where people can share collective and human times. 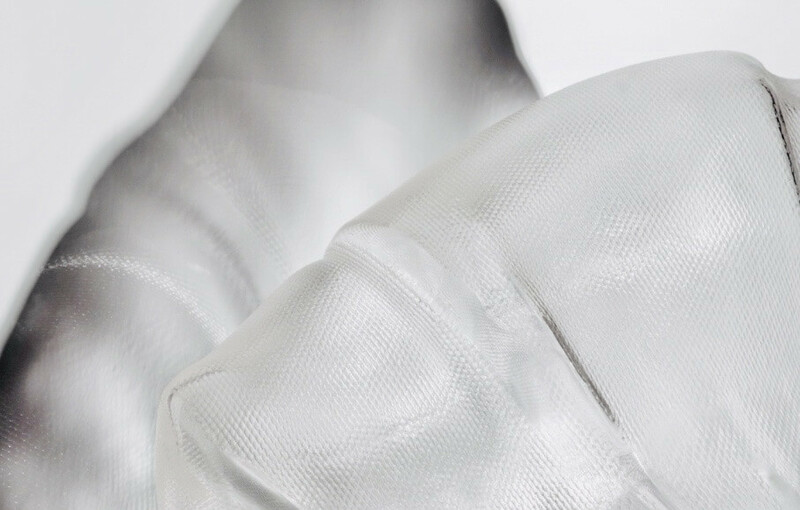 By designing qualitative spaces, “haute-couture” and by giving glass and metal an essential place in our concepts, we pay a tribute to Jean Prouvé, who was the first French Architect to use the curved glass to design the facade of the building.” explains Maud Caubet. 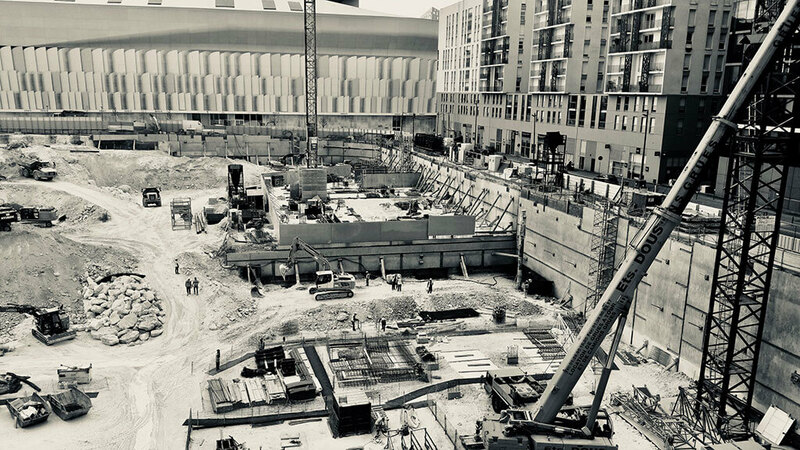 Delivery of spaces is planned for the 3rd trimester of 2019. For this 21st “Pierres d’Or” Award Ceremony organised at the Trianon in Paris by Immoweek, Laetitia George and the entire team of Groupama Immobilier received an award in the “Users” category for the Groupama Campus project, first campus of this kind in the business quarter of La Défense. We took part in this ambitious and collective project as we were in charge of the campus’ interiors design : 13 different types of working spaces have been imagined to meet everyone’s needs and aspirations. Vitality and natural energy are at the heart of our reflection. We include green areas inside and outside the buildings to create places for relaxing moments and improve the well-being of all. Let’s act for an open, poetic, borderless, inclusive and engaged architecture that’d be the reflection of the dreaming power and transformative potential sleeping in each of us.In 2019, we promise you a participative architecture that crosses borders, takes part in the debate, encourages and supports our urban, social and environmental transition. On Wednesday 17th, October shorlisted projects by « Inventing Greater Paris 2 » were revealed. 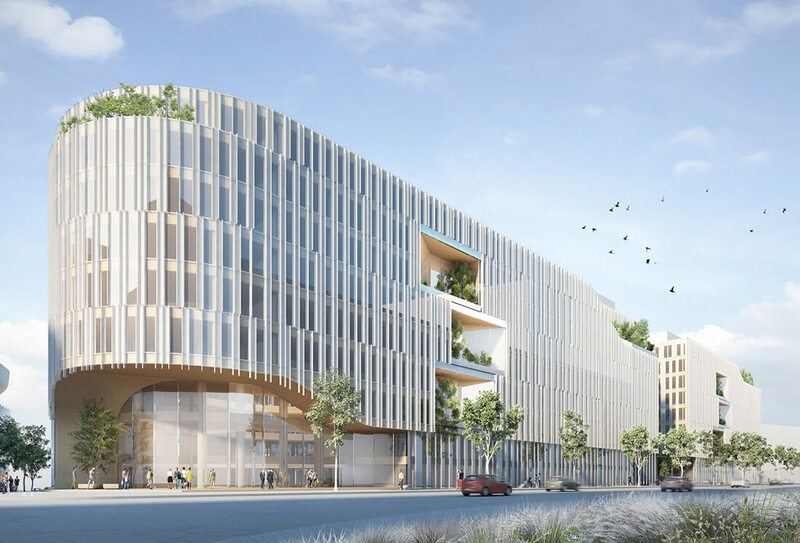 The agency is thrilled to carry on this adventure in phase 2 along with Link City for La Fabrique on Porte de Clignancourt site, and with Vinci Immobilier for Crescendo on Villemonble site. Last 12th October, the first stone of our projects Origine and Nouvelle Vague was placed on the construction site in Nanterre. In association with Quadri Fiore Architecture, our inspiration comes from Ha-Long Bay and its small islands. « For its conception we rely on a bioclimatic architecture, and wood is our main material. What is built, nature and the creation of a biodiversity go hand in hand to create a single extraordinary entity. » Maud Caubet stated. 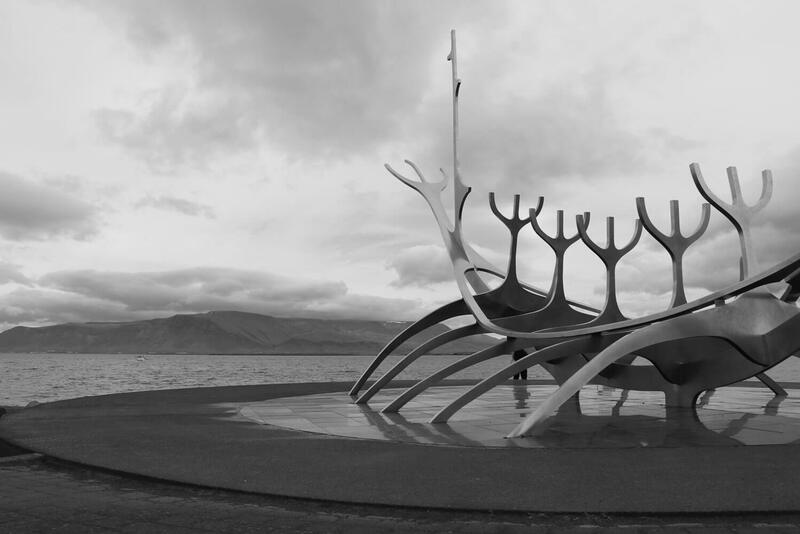 Maud Caubet is proud to announce that Maud Caubet Architects has been shortlisted for two Reinventing Cities’ sites in Reykjavik. Together, the whole team is now working on these two ambitious projects driven by the fight against climate change. Great progress made on the Origines (dwellings) and Nouvelles Vagues (offices) construction site. Cranes were already on the move during our visit with the team. The first stone should be placed very soon… Stay tuned! 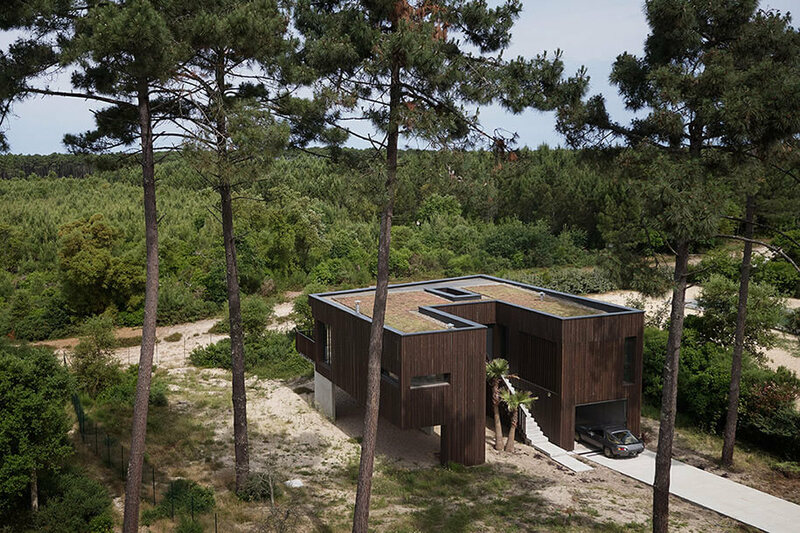 Maud Caubet Architects was given free rein to create The Landes House, situated in a pine forest beside the beach. A beautiful construction which fits gracefully into its natural surroundings.